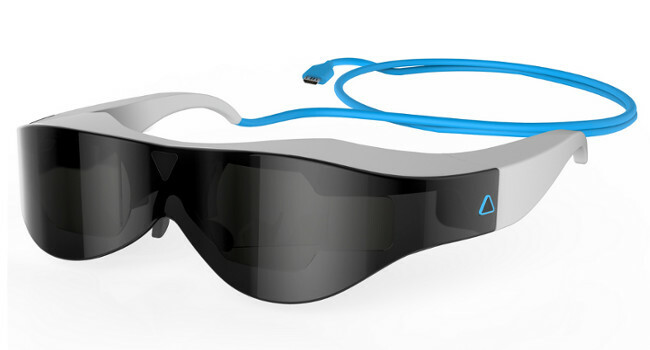 Atheer One is a pair of smart glasses that supports natural interaction such as gesture control and augmented reality. Since the company started taking pre-orders for the product 19 December, the company has already raised about half of its target goal on Indiegogo. Atheer Labs aims to use gesture recognition technology to create a new way of interacting with computers. The video shows a lot of concept scenarios where Atheer One could be used such playing a game of Battleships on a tabletop or the ability to manipulate 3D objects using simple hand gestures. It kind of seems like the love child of Google Glass and Leap Motion and although impressive, still has a while to go. 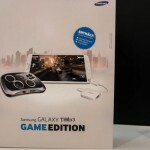 The consumer product is set to launch end of 2014. For now, the Atheer Developer Kit is meant for those keen to tweak, experiment or build their applications. You wouldn’t be comfortably walking around with the kit as all of the processing power and battery is stored in an external brick connected to the Atheer smart glasses. Since the project was first introduced in May this year, the company has been trying to optimise gesture detection on mobile smart glasses as well as voice and head motion control. Happily, it’s meant to be able to run more than 800 000 Android apps. As mentioned on the site, Atheerians can run existing Android apps without modifying them by using a legacy 2D mode that displays the apps in your glasses as if a tablet were floating in front of you. The Atheer One, though, is what the company is ultimately aiming to perfect. Designed as a consumer product, the company notes that it will be lighter and will leverage the processing power of your Android device. 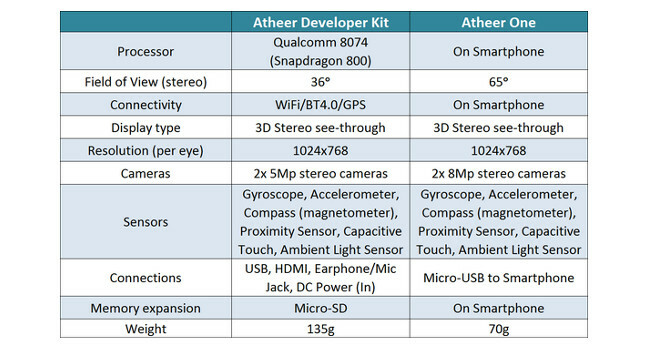 While something like Google Glass uses Bluetooth to pair with a smartphone, Atheer One uses microUSB to connect with a peripheral device.